This shop has been compensated by Collective Bias, Inc. and it’s advertiser. All opinions here are mine alone. 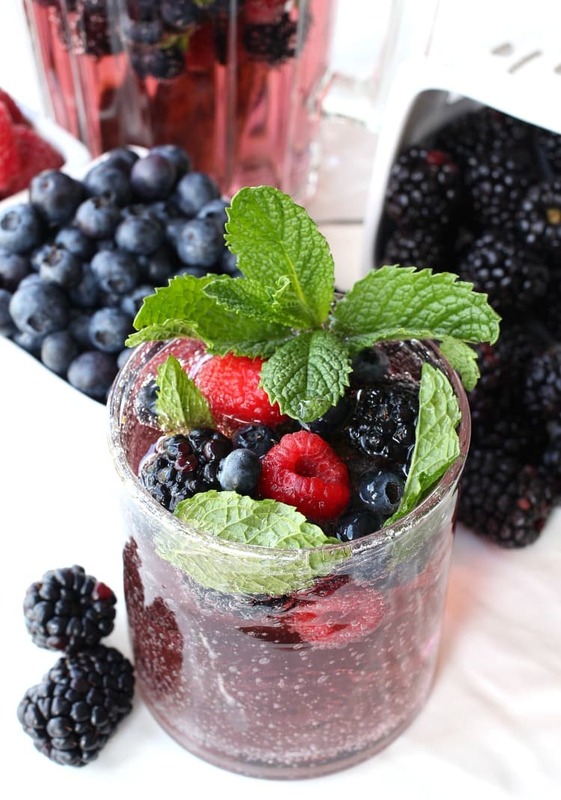 This Blackberry Vodka Punch tastes as good as it looks – perfect for a brunch, a party or a last minute get together! As you know I love to get creative with my own cocktails, and this Blackberry Vodka Punch is no exception. 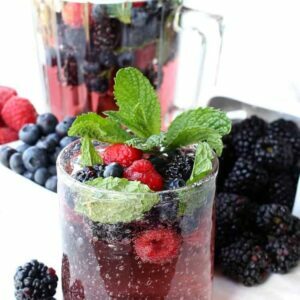 This Canada Dry® Blackberry Ginger Ale is just what I was looking for to give this punch it’s amazing color – and flavor. It’s made with real ginger so it’s flavor definitely packs a punch…pun intended. 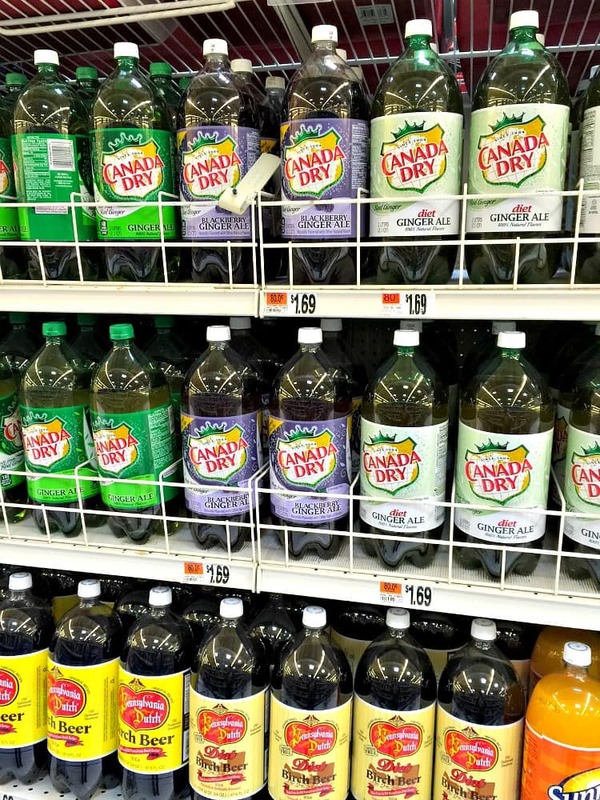 This Canada Dry® Blackberry Ginger Ale is only available March through May of 2016 so if you try this punch and really like it – I suggest you get out to your local Stop & Shop and stock up! 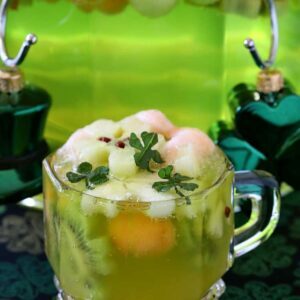 This punch was created as a “last minute get together” drink. 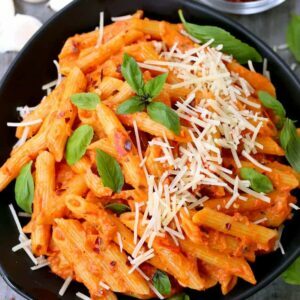 That’s also kind of what I’m known for, putting together something with ingredients on hand that still looks and tastes amazing. I can come out of our kitchen with food or drinks that my wife had no idea we even had…then she just looks like she knew I was making it the whole time. 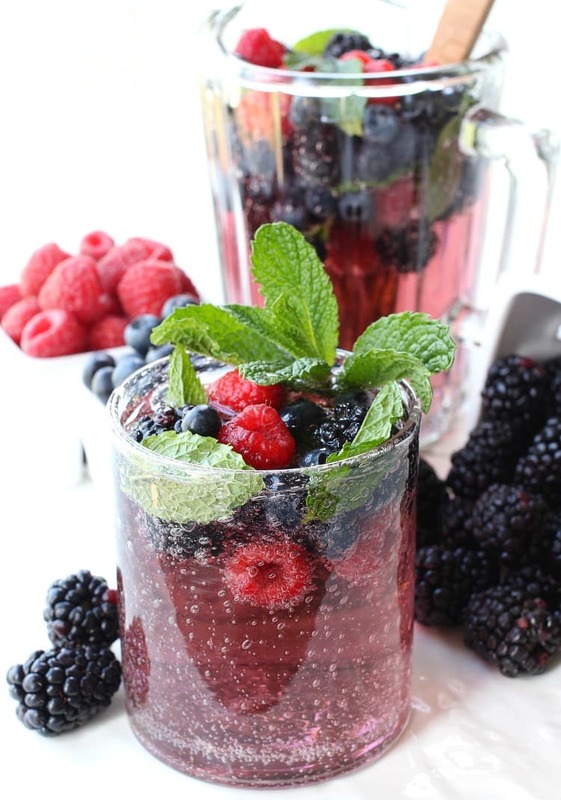 Gather up some basic ingredients, berries, mint…triple sec and the vodka. You can definitely swap out different fruit or berries if you have them in your fridge. 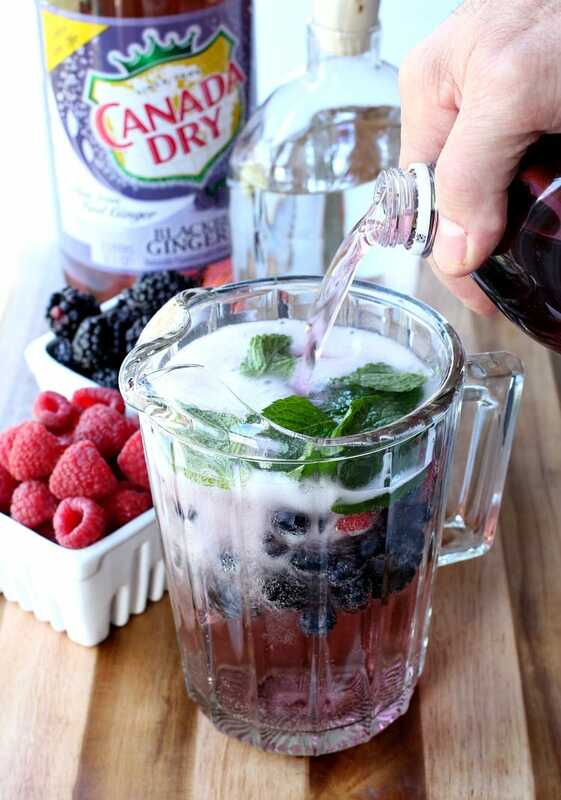 The one thing you need to make this signature punch though is the Canada Dry® Blackberry Ginger Ale. There’s no need to marinate this fruit like in a sangria, you don’t want the berries in this punch saturated and mushy. So the fact that people have stopped over unexpectedly and you need to pull something together fast…this punch works. 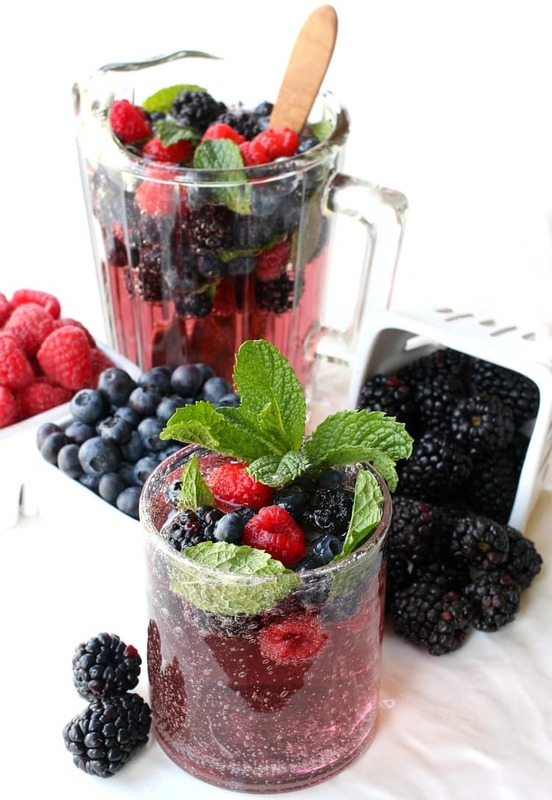 Grab a pitcher and add a few handfuls of assorted berries in the bottom. Throw in a few leaves of fresh mint and then your vodka. 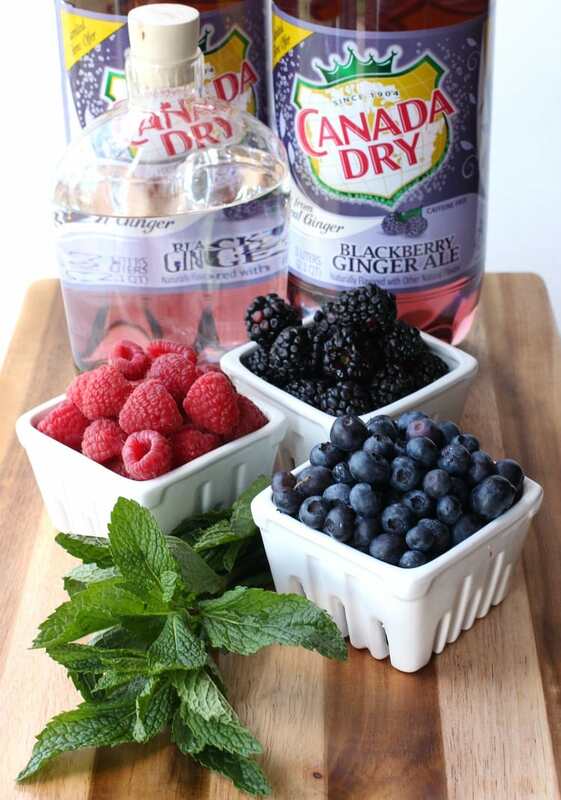 Pour in the Canada Dry® Blackberry Ginger Ale and give it a light stir. AND serve. That’s it – just serve it up. 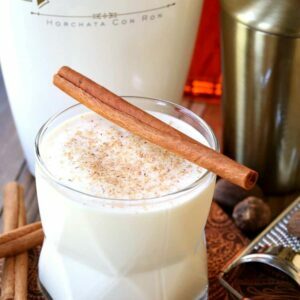 Whatever spread you can put together and get out on the table will go perfectly with this drink. So let those friends who can’t call first stop over…just make sure you have a few bottles of this Canada Dry® Blackberry Ginger Ale on hand! Place all ingredients in a large pitcher and stir gently. This is totally gorgeous!!! Invite me over!! haha! I do believe I just found my new favorite summer drink! I think for us too – thanks Kristen! This looks so refreshing and it’s just so pretty! Love the addition of mint…lovely! Thanks Caroline, hope you try it!